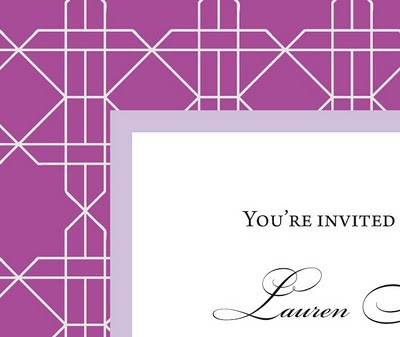 Although we're still in the review and quote stage of design, I am very excited about the possibility of these invitations for San Diego bride Lauren. The Darlington pattern on the background has been refined, check out the before shot. The final invite shown here would be silver printed on beet purple uncoated paper layered with a plum uncoated paper border and finished with classic crest stock printed with black ink. Classy, and fun. Your work and your face.